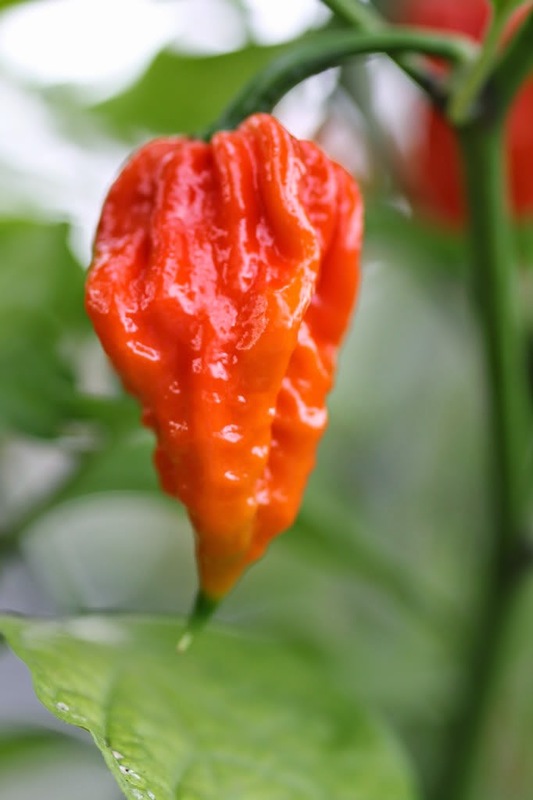 Officially the hottest chilli ever known, the Trinidad Scorpion Butch T is described by cultivator Marcel de Wit as "just severe, absolutely severe". Marcel is co-owner of Australian business The Chilli Factory, and began cultivating the variety two years ago on the NSW Central Coast. 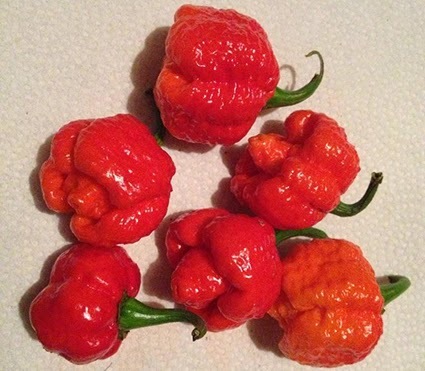 Marcel and his team use the Trinidad Scorpion Butch T as a basis for a hot sauce, and say that to cook it requires full chemical masks and protection suits. The secret to its explosiveness? 'Worm juice' fertiliser. 2 million SHUImagine chewing an entire jalapeño pepper at once. Now multiply that by 400. 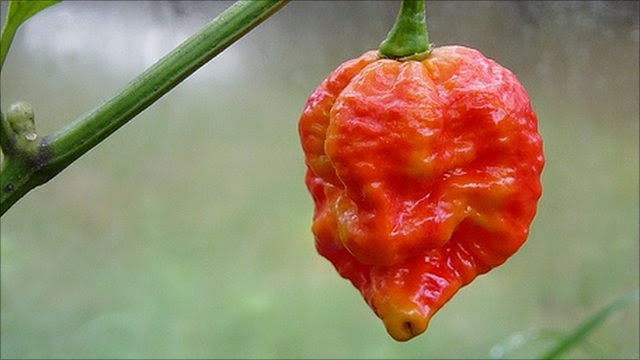 That's a Trinidad moruga scorpion. This golf-ball-sized pepper stole the No. 1 spot in February 2012 when the Chile Pepper Institute declared it the world's hottest pepper. At 2 million SHUs, you might be better off eating an actual scorpion. 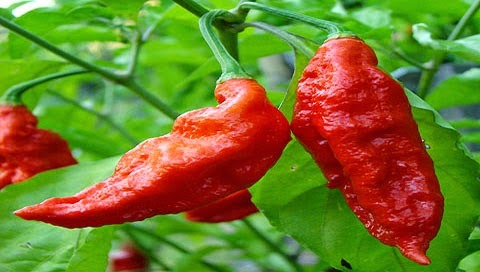 Cultivated in Cumbria, England, by chilli farmer Gerald Fowler, the Naga Viper is a three-way cross between the Bhut Jolokia, Naga Morich, and Trinidad Scorpion varieties, which also gave rise to the Butch T. "It doesn't get you instantly but the fire will burn for an hour and sit in your belly," Gerald told British newspaper The Independent. "Then your stomach will hurt for the rest of the day." He credited Cumbria's wet weather with creating such a scorching chilli. Appropriately named for its never-ending burn, the Infinity held the title of world's hottest chilli for just two weeks before it was usurped by the Naga Viper. Cultivator Nick Woods developed the hot chilli in Lincolnshire, England, by accidentally crossing existing varieties. He says the trick to growing them so hot is tending to the plants as little as possible. Like the Trinidad Scorpion Butch T, the 7 Pod varieties (also known as 7 Pot) originate from Trinidad in the southern Caribbean. From a bright yellow, pineapple-flavoured variety to a chocolate-coloured counterpart, 7 Pods are some of the rarest chillies on the planet. Their name reflects the notion that a single 7 Pod chilli is fiery enough to heat seven pots of stew. Nagas have been cultivated in India and parts of neighbouring Bangladesh for centuries. They are so hot that the Indian army has developed them as a weapon, using their extract to create a blinding chilli grenade. 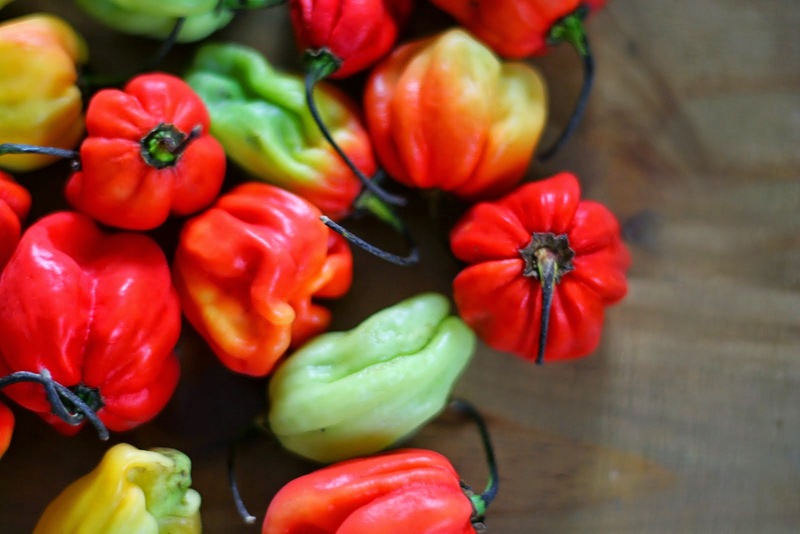 Depending on the specific region they are grown, Nagas are known by many names: Bhut Jolokia, Naga Jolokia, Bih Jolokia or the Naga Morich. But one of the hottest ever recorded Nagas was grown not in Asia but in the county of Dorset, England, by Michael and Joy Michaud. 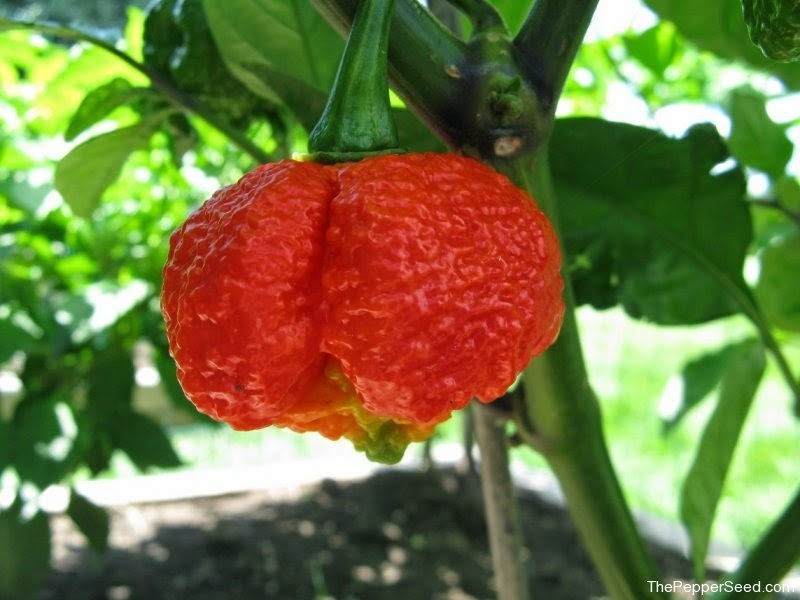 They grew the Dorset Naga from Bangladeshi varieties by selecting plants that bore the most unusual wedge-shaped fruits.